The world-leading population biologist Professor Sir Charles Godfray CBE FRS has been appointed as the next Director of the Oxford Martin School. Sir Charles, whose work spans ecology, evolution and epidemiology, will lead the School in its multidisciplinary work on the global challenges of the 21st Century. Through his own work on the health, environmental and economic consequences of food policies Sir Charles has had a major impact on future thinking about global food security. His research on insect population dynamics has been extremely influential in understanding insect population control, including in the biological control of agricultural pests and the genetic control of malaria and dengue vectors. Sir Charles holds a number of leadership positions across the research and policy arenas. He is part of Target Malaria, a multi-university consortium of researchers working on the control of the mosquitoes that transmit malaria in Africa. He is Chair of the UK Department for Environment, Food and Rural Affairs Science Advisory Council, a Trustee Director of Rothamstead Research and a Trustee of the Food Foundation, as well as sitting on a number of other scientific advisory committees. Previous roles include Trustee of the Royal Botanic Gardens, Kew, President of the British Ecological Society, and Chair of the Lead Expert Group of the UK Government’s Foresight Project on the Future of Food and Farming. In 2017 Sir Charles was knighted for services to scientific research and for scientific advice to government. Sir Charles has been very involved with the Oxford Martin School for a number of years, for example as the Director of the Oxford Martin Programme on the Future of Food and as co-creator of the Oxford Martin Restatements, a new approach to providing succinct summaries of scientific evidence around highly contentious topics. Sir Charles will take up his post on 1st February 2018. 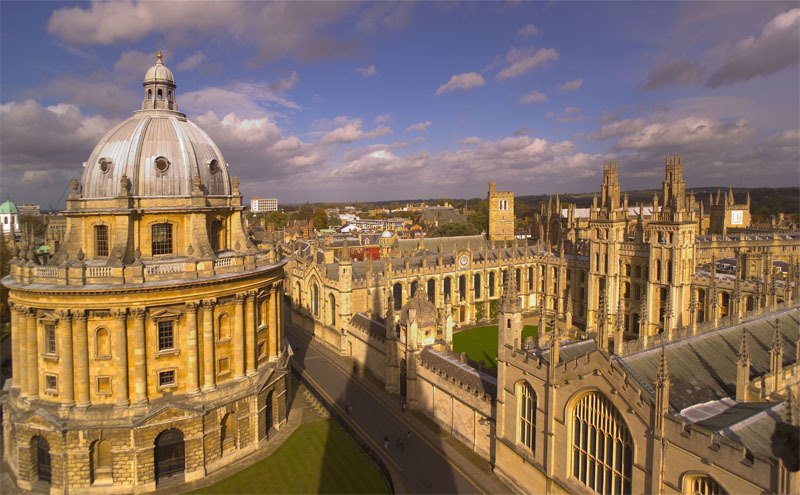 Signup for our e-letter and get up to date Oxford jobs and news in your inbox every week! !